At St Mary’s we believe that children are entitled to an education that enables them to make progress so that they achieve their best and become confident individuals living fulfilling lives. Our children are all engaged in quality first teaching however sometimes pupils have difficulties which may affect their education in school and we use our best endeavours to identify and meet their special educational needs. A child may have Special Educational Needs if they have difficulties with Communication and Interaction, Cognition and Learning, Social, Emotional and Mental Health Difficulties, Sensory and/or Physical needs. Equally we recognise that there are children who are gifted or talented who need additional provision to ensure they are appropriately challenged. Staff will use assessments to monitor pupil’s progress and identify pupil’s needs, however, there are times when we may have to seek the advice of external specialists to identify children’s areas of difficulty and decide how they can be best supported in school. Some pupils who have Special Educational Needs and receive additional support in school may be placed on an SEN Register in one of two categories according to their level of need. St Mary’s is an inclusive school and we ensure that children with Special Educational Needs and Disabilities engage in the activities of the school alongside pupils who do not have SEN.
Children who are on the SEN register will have an Individual Provision Map which will detail the support in place (These will replace previously used Individual Education Plans (IEPs)). We value the knowledge parents hold about their child and we listen and understand when they express concerns about their child’s development. We consult with parents regarding their child’s areas of difficulty, progress and support in place in school. We offer advice on how parents can support their child at home. 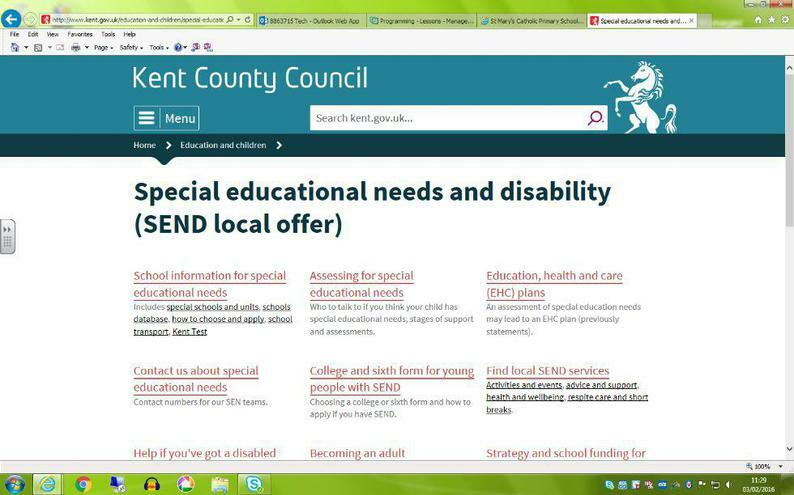 Kent's Local Offer Website provides information for parents about education, health and social care support available in the local area and how to access it. Children's own opinions, aspirations and concerns are highly valued and are taken into account when making decisions about their education. Our Additional Educational Needs Co-ordinator (AENCO) oversees the provision for pupils with SEN and works closely with parents, teachers, teaching assistants, and external advisors to ensure that support for pupils is appropriate to their needs and monitors their progress. 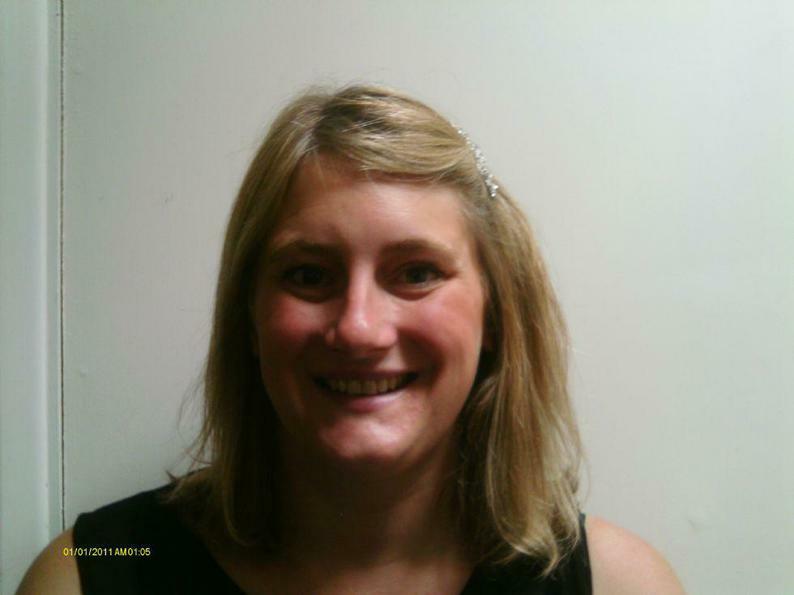 Our Additional Educational Needs Coordinator is Sarah Clark. If you have a concern about your child please speak to their class teacher or contact Sarah Clark on 01227 272692. Sarah works part time and is usually in school on Tuesday, Wednesday and Thursday mornings. 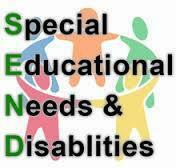 Our Special Educational Needs and Disabilities Policy reflects the changes within the new SEND Code of Practice. You can view this policy below. This letter to pare nts from the Department for Education outlines some of the aspects of the new special educational needs code of practice. This guide is for parents and carers of children and young people aged 0-25 years who have special educational needs (SEN) or a disability and describes how the new system which supports children and young people with SEN or disabilities, and parents, is intended to work. Eye can learn - By clicking on the link provided you will gain access to various eye exercises for your child, and here he will be able to sharpen his visual skills.